Do you have lamps in need of repair? Medford Lighting and Repair has been servicing New Jersey’s lighting fixtures and restoring them to their original condition. 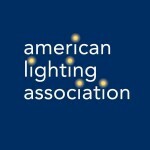 Our lamp repair department, and American Lighting Association certified associates, take great pride in the repair and restoration of your valuable lighting fixture. No project is too small or too big for us to handle. We enjoy taking something old or broken, and making it new again. We also provide restoration, rewiring, and custom lampshades. Why Choose Medford Lighting and Repair? Quick Turn-Around: We value our customer’s time, and are committed to ensuring that your fixture is brought back to its original condition in as little time as possible. Customization: Design the perfect lighting fixture through custom services, such as redesign and repurposing, for your home or business. Contact us today to begin the process. Convenient Location: You will find our Main Street location in Downtown Medford, New Jersey, to be very conveniently located. An Established Reputation: Our lighting fixture and lamp repair services speak for themselves; just ask any customer of ours. Free Consultations: Our customers and the vision they have for their homes, are of the utmost importance to us, which is why we offer free consultations in our showroom, preferably by appointment. You can inquire about in-home consultations as well. Copyright © 2019, Medford Lighting and Repair. All rights reserved.